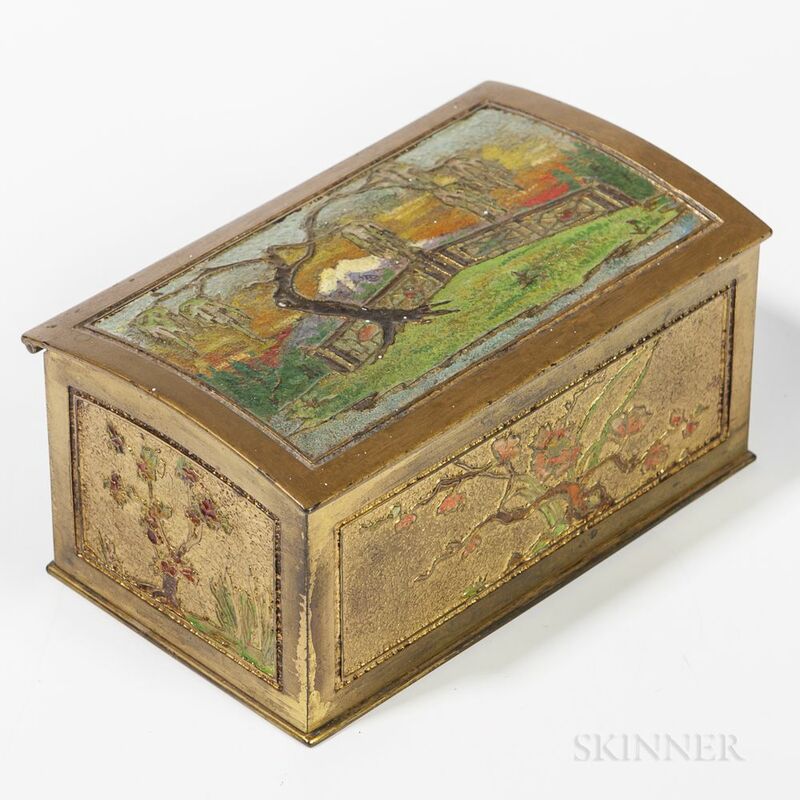 Tiffany Studios Bronze Dore and Enamel Box, New York, early 20th century, domed lid with scene depicting Mt Fuji, the sides with Asian flowers and trees, stamped mark "Tiffany Studios New York 1102," ht. 2 3/4, lg. 5 7/8, wd. 3 1/4 in.